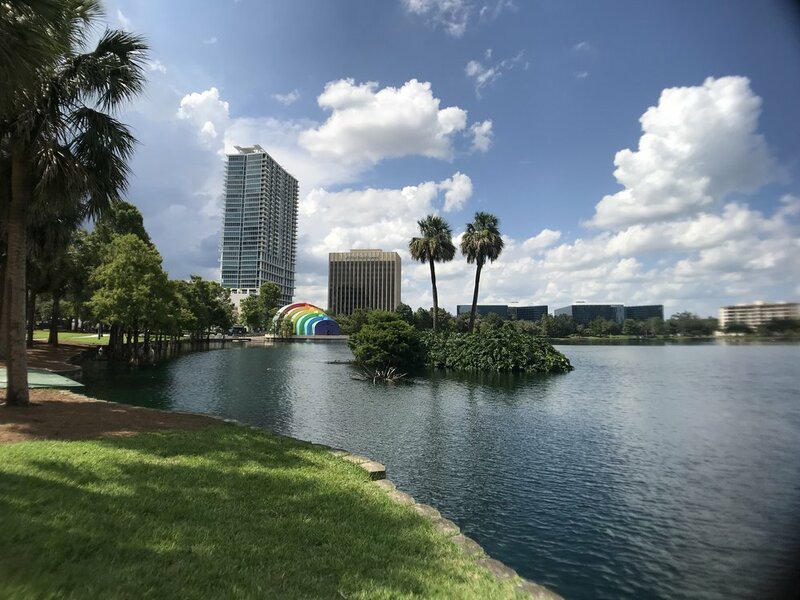 Lake Eola was originally part of a 200 acre plot of land purchased by the 'Cattle King of Florida' Jacob Summerlin. On the south side of that land was a sinkhole, combined with the aquifer underneath, the body of water that formed was Lake Eola. In 1888 Lake Eola was recognized as a park after being donated to the public in 1883. There are five types of swans you'll see: Black Neck swans, Whooper swans, Royal Mute swans, Trumpeter swans, and Australian Black swans. There's an annual round-up each year where they're checked out by a swan veterinarian, vaccinated, catalogued and returned to the lake. Swan Tip: Remember to only feed the swans spinach, lettuces, or duck pellets. The Linton E. Allen fountain spews out 6500 gallons of water every minute. It was built in 1957 and patterned after fountains of Europe. Struck by lightning in 2009, it underwent a renovation and has been completely restored. Did you know you can actually go INSIDE the fountain? Maybe we could do that for Townie Tourist. Wouldn't that be cool? The Sperry Fountain is actually the second fountain. The original is now located in Greenwood Cemetery. The fountain is made of wrought iron and has a duck base and water flows from an acanthus leaf. The Band Shell was built in 1886 and originally placed on the south side of the lake. It was completely moved and reconstructed on the west side and now sits at the foot of Washington Street near the main entrance to the park.